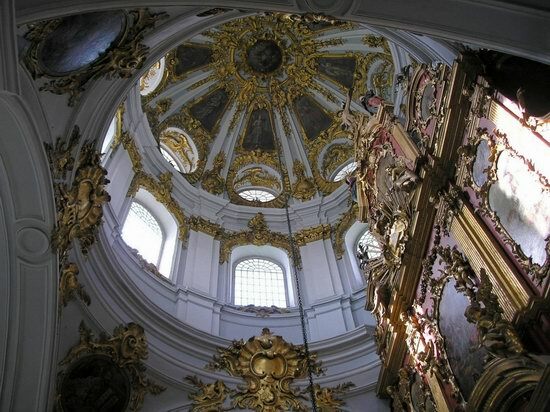 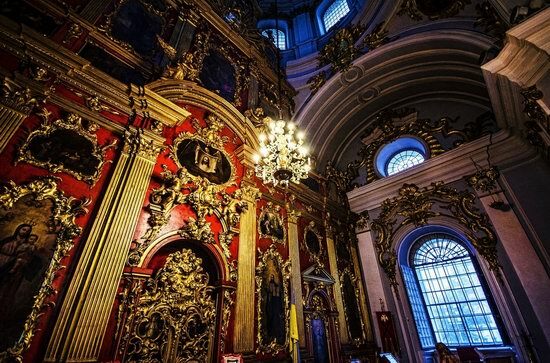 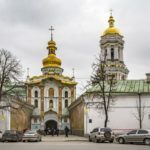 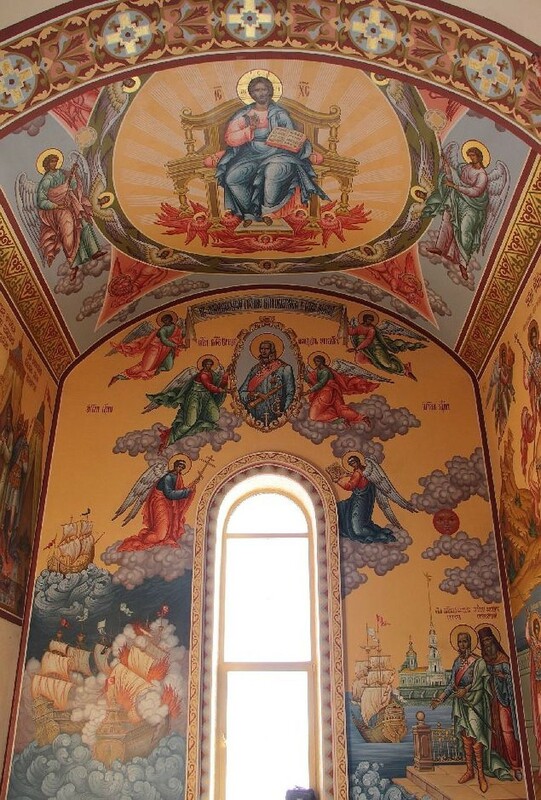 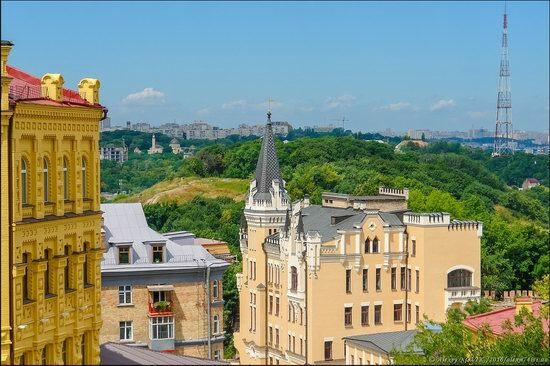 St. Andrew’s Church, located on St. Andrew’s Hill in Kyiv, is an Orthodox church named after Andrew the Apostle and built in the Baroque style by the architect Bartolomeo Rastrelli in 1754. 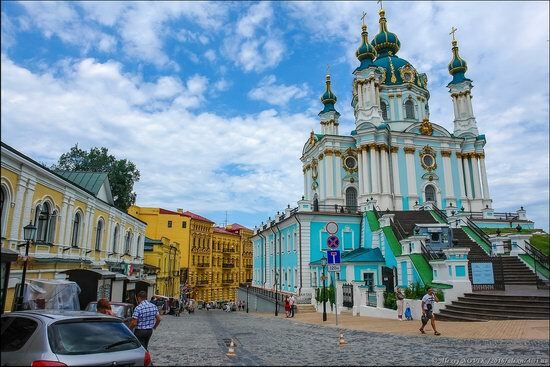 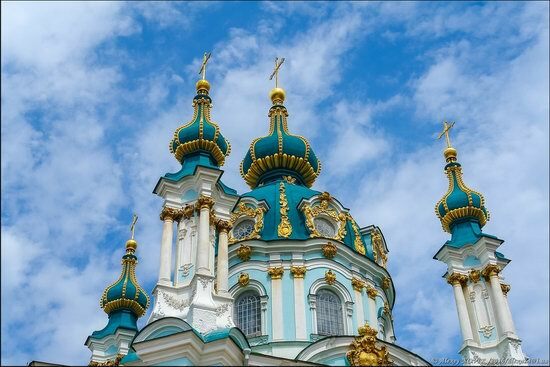 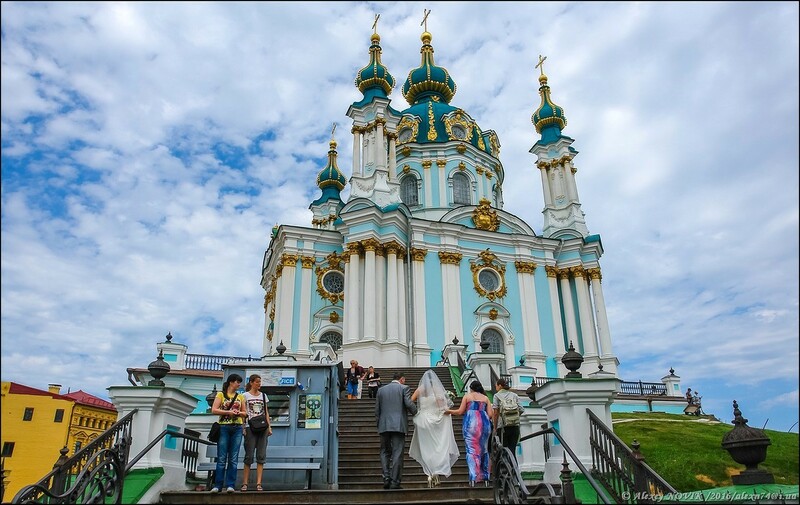 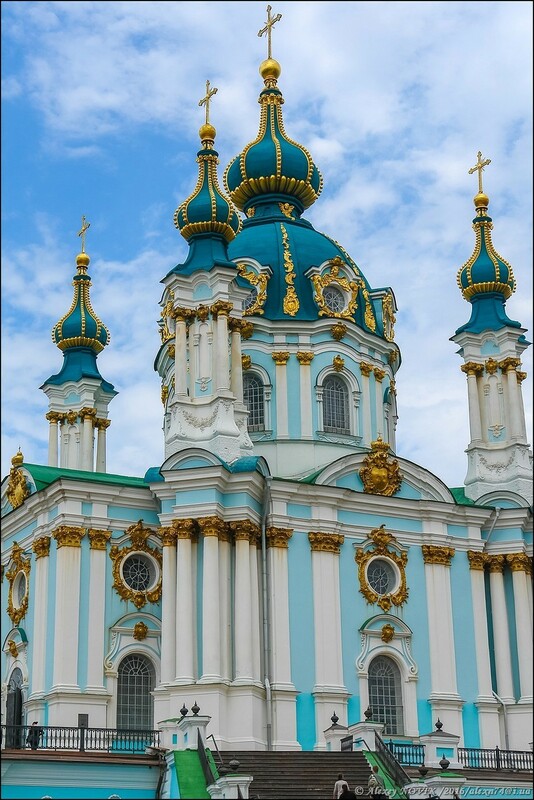 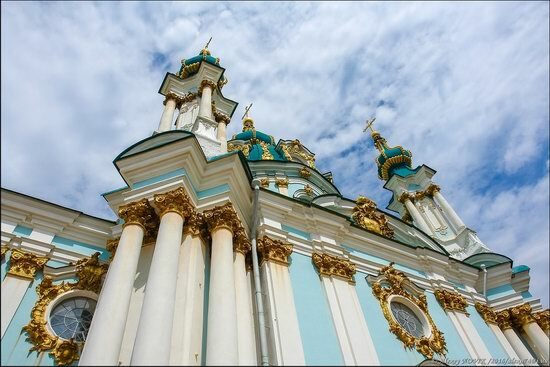 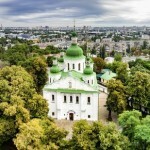 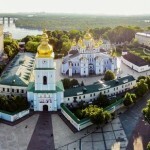 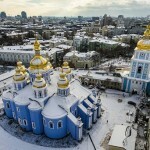 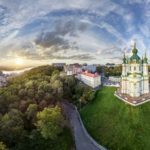 The church stands on the steep right bank of the Dnieper River, overlooking the historical part of Kyiv – Podil. 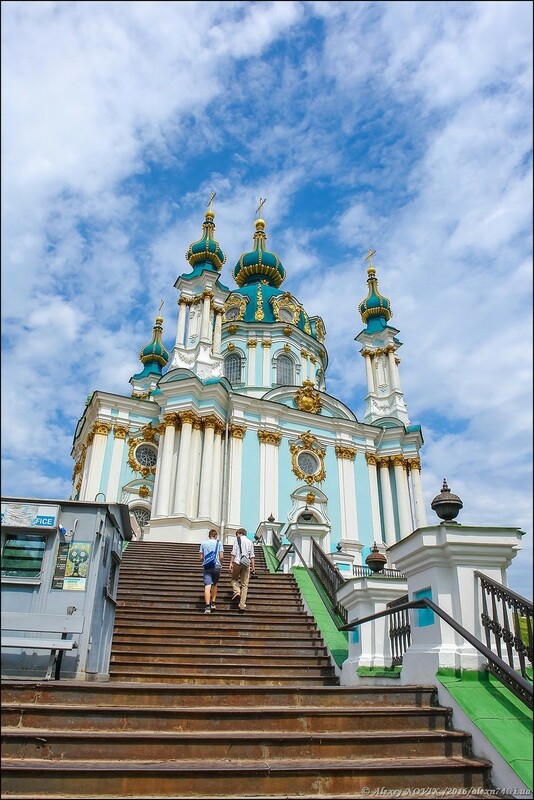 St. Andrew’s Descent that goes down from the church connects the upper and the lower parts of the city. 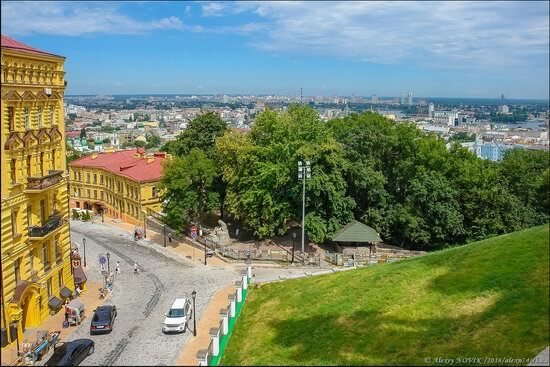 This is one of the most interesting and picturesque places in Kyiv. 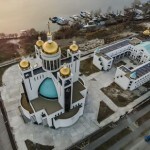 Photos by: Aleksey Novik. 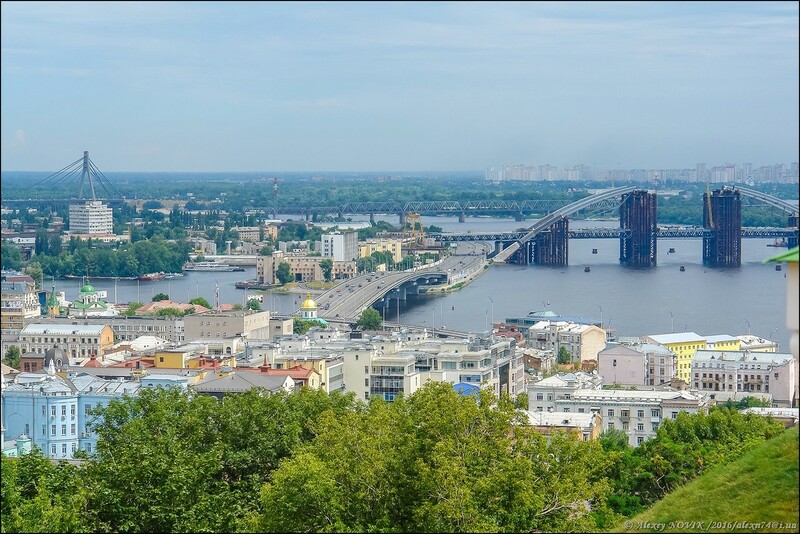 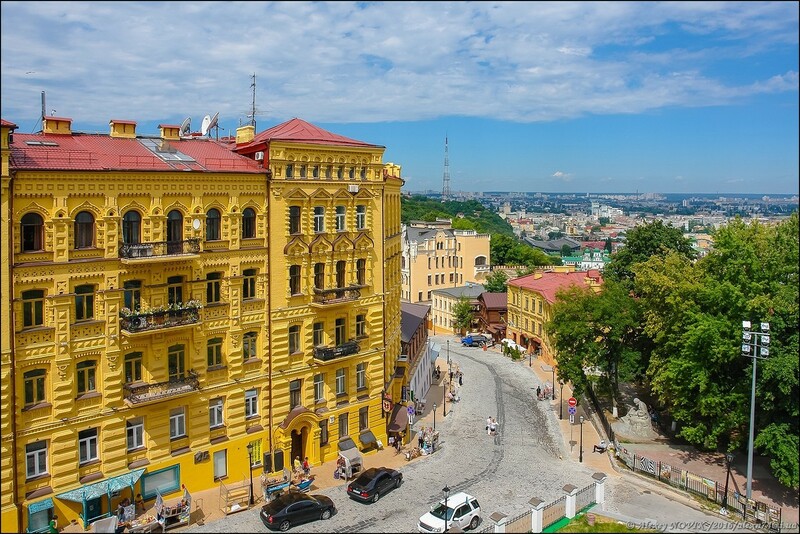 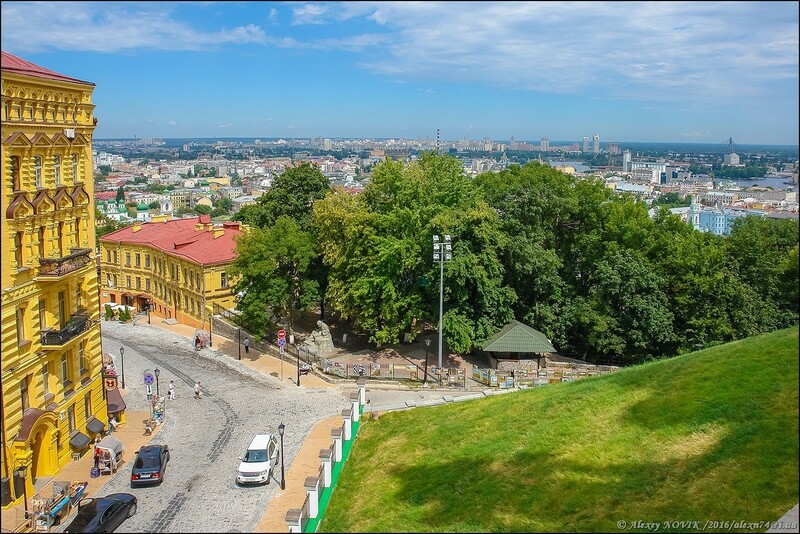 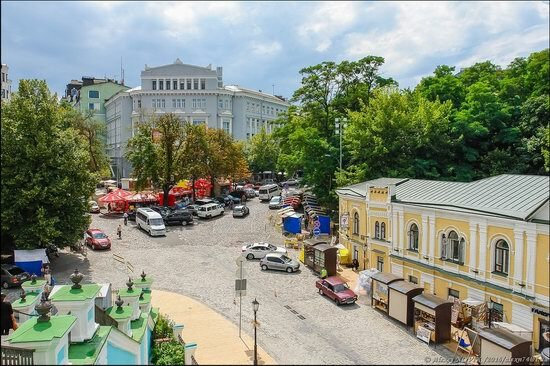 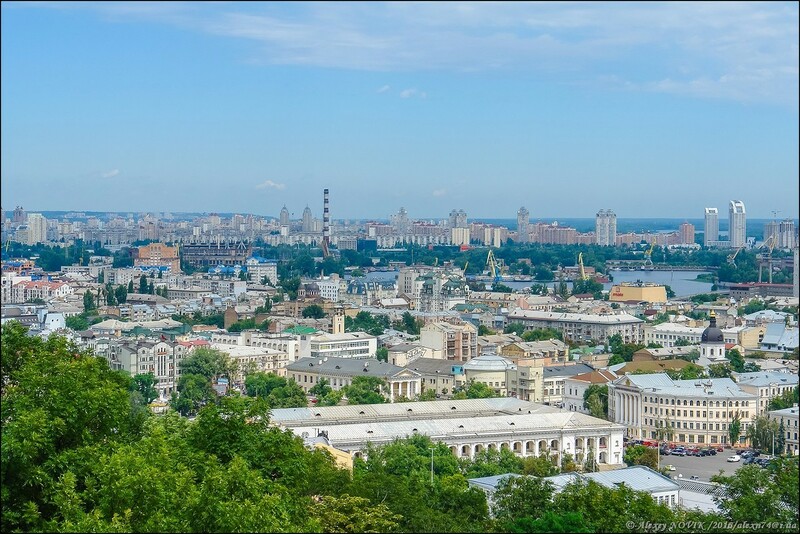 Podil – the historical part of Kyiv. 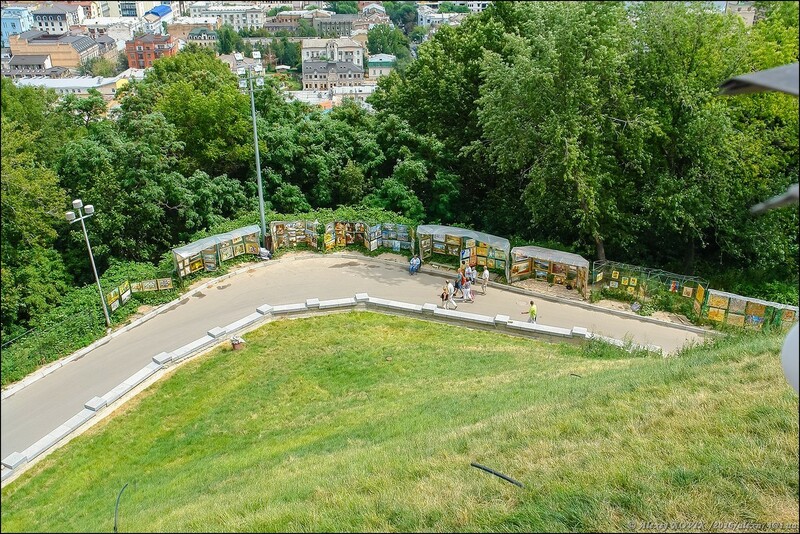 Local artists have chosen a place at the foot of the church. 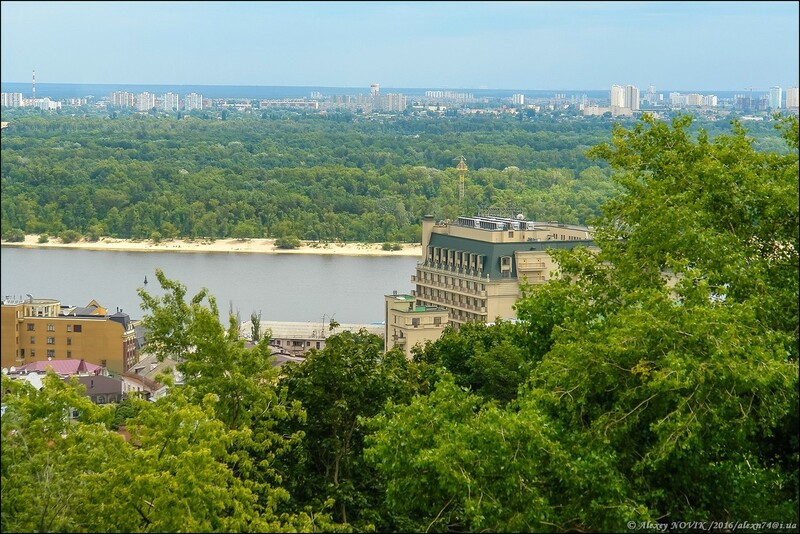 “Young” Kyiv on the opposite bank of the Dnieper. It is a favorite place of newlyweds.